In this article, we are going to cover 5paisa charges such as their brokerage charges, account opening charges, transaction charges & more. 5paisa is one of the fastest growing discount broker that offers comprehensive opportunities to the investors and traders to trade in all market segments. Here, we provide you every 5paisa brokerage charges details. So, let’s get started. As per the above mentioned table data, we can state that the 5paisa brokerage charges for equity delivery, equity Intraday, equity futures, equity options, currency options, currency futures is flat Rs.10 per trade only. 5Paisa provides lowest brokerage charges compared to all stock brokers in the country. 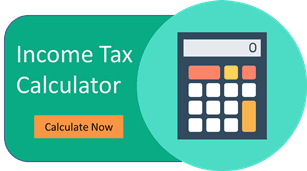 Get a Call back from 5Paisa – Fill up the form now! In order to opt the trading services of 5paisa, clients need to open a trading account at Rs. 650 as a trading account opening charges. The demat account opening charges are zero. But, 5paisa takes Rs. 400 from the demat account holders as a demat account annual maintenance charges (yearly). At 5Paisa, clients can start trading with zero margin money. For equity delivery, equity Intraday the transaction charges 0.00325% respectively. Equity futures and currency futures the transaction charges 0.00210% respectively. For equity options and currency options the transaction charges 0.05100%. The SEBI turnover charges is 0.0002% of total turnover charges and the STT charges that levied on each sides are 0.0126% of total turnover. The stamp duty charges that vary from state to state lies between 0.002%- 0.004%. The GST charges levied by the government is 18% of ( brokerage charges + transaction charges). The broking house is 18%+ GST as a margin funding. 5paisa clients can also close their account at zero cost and reactivate it by paying Rs.50 per segment. The Dematerialisation charges are Rs.15.